There comes a point when someone looks at our tech-induced generation and says ‘why?’. However, despite our best intentions, I’m sure most of us (even adults!) have gotten into the habit of checking our phone constantly, without thought. Hence, one has to ask, what are we doing on our phones that is so important? One possible reason is that social media is designed to make a habit of us logging in. The best example of this is Snapchat Streaks – a feature that counts the number of days you and one of your contacts have been talking to each other in a row. While it may seem like a quirky little addition at first, it quickly becomes an OCD inducing messaging habit (after all, what will they think of you when you lose their streak?!) and oddly enough, gains you some bragging rights -Teens love to tell others what their longest streak is, while I wonder is that something to be proud of? This also brings up another point – Teenagers hate to be left out, the worry being they will miss SOMETHING SUPER IMPORTANT! This contributes to the ‘always-on’ nature of technology and might be the reason teenagers are so nervous without their phones. This fear is great for companies as it contributes to possible ‘phone-addiction’ which means more time spent on screens. It’s also a great deal harder to get away from screens with new smartwatches and interconnected devices that remind you of notifications you haven’t responded to. This makes it even easier to get sidetracked. Another reason could be that we are not doing anything important when we are checking our phones. 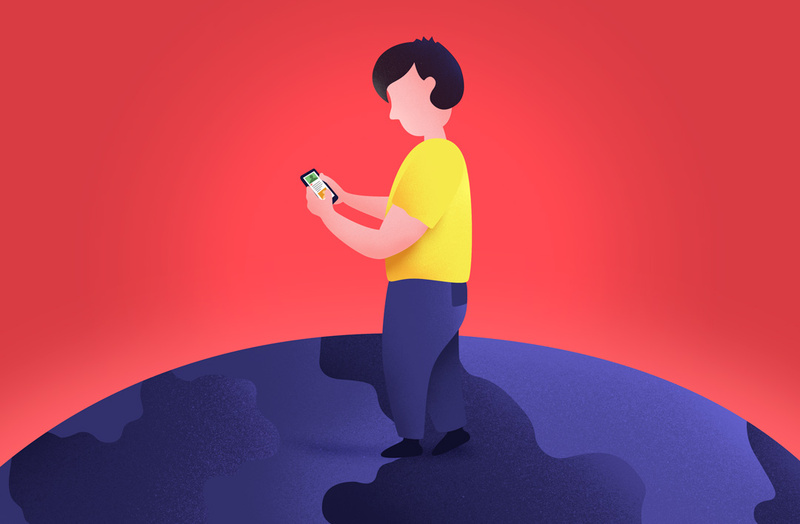 It may be that teens use phones to put off whatever needs doing: Whether it’s during study, continuing a conversation in real life, or research on projects turning to research on Facebook. Of course, there are apps that you can use to block phone access, but I haven’t heard of any teenagers using them. And frankly, why would you want to use them, when you have an excuse to stop doing all the important stuff you have to do in your back pocket? So clearly we have a problem here. The solution? Some self-control, I guess. As I sit here typing away, I’m constantly resisting the urge to check my phone for messages. There is no easy answer to this problem (bar the unfathomable thought of turning your phone off) so it seems teenagers will just have to make sure they use technology, and technology doesn’t use them.